MyDaily9: Gmail's rolls out new interface for "Compose Mail"
Gmail's rolls out new interface for "Compose Mail"
Life is getting more faster than ever. Even Google thinks the same. So they are tying to save the time for each and every thing. So the new option for compose email launched on Nov 1st 2012. When you click the compose button , now there will be a new pop up which ask you one time , whether you want to try the new compose option , I just gave a try. Looks good to me. Now when I click Compose , I am in a feeling whether its a Chat or Email Compose. 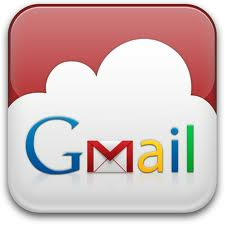 Its looks similar to the Gtalk Chat message which is embedded in Gmail . The new message will just come to the right bottom corner , as usual , there will be a To , CC, BCC ,subject , send , Font , attach , there is '+' sign , When you move over the mouse on that '+' then you can see then Insert photo, link and smileys. One new thing that I saw is there is an "Insert invitation" , which will roll out soon . Insert invitation is nothing, but you can invite multiple number of people for an event etc. It looks like Google want to have every thing in one. What I think more interesting is , after writing you may save to draft, then opening and old email , reopening your draft etc... will waste your time . So this feature will save those time . Still if you think that you want to open in a separate window there is an option in the top right middle icon , that is left the close button. Lets wait for roll out of Insert Invitation .